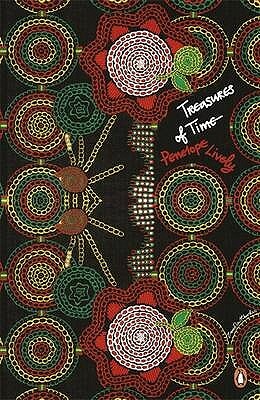 Treasures of Time is the twelfth novel by Booker Prize winning author Penelope Lively, a spellbinding story of the dangers of digging up the dark secrets of the past. This edition features an introduction by Selina Hastings. Penguin Decades bring you the novels that helped shape modern Britain. When they were published, some were bestsellers, some were considered scandalous, and others were simply misunderstood. All represent their time and helped define their generation, while today each is considered a landmark work of storytelling. Penelope Lively's Treasures of Time was published in 1979, and is an acutely observed study of marriage and manipulation. When the BBC want to make a documentary about acclaimed archaeologist Hugh Paxton, his widow Laura, daughter Kate and her fianc Tom are a little nervous: digging up the past can also disturb the present . . . Penelope Lively is the author of many prize-winning novels and short-story collections for both adults and children. She has twice been shortlisted for the Booker Prize: once in 1977 for her first novel, The Road to Lichfield , and again in 1984 for According to Mark . She later won the 1987 Booker Prize for her highly acclaimed novel Moon Tiger . Her other books include Going Back ; Judgement Day ; Next to Nature, Art ; Perfect Happiness ; Passing On ; City of the Mind ; Cleopatra's Sister ; Heat Wave ; Beyond the Blue Mountains , a collection of short stories; Oleander, Jacaranda , a memoir of her childhood days in Egypt; Spiderweb ; her autobiographical work, A House Unlocked ; The Photograph ; Making It Up ; Consequences ; Family Album , which was shortlisted for the 2009 Costa Novel Award, and How It All Began . She is a popular writer for children and has won both the Carnegie Medal and the Whitbread Award. She was appointed CBE in the 2001 New Year's Honours List, and DBE in 2012. Penelope Lively lives in London.